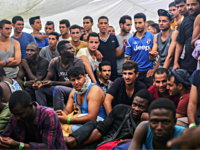 POZZALLO, Sicily (AP) — About 400 migrants aboard two border patrol ships disembarked in a Sicilian port Monday after a half-dozen European countries promised to take some of them in rather than leave Italy alone to process their asylum claims. 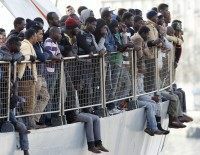 Some 450 African migrants have been transferred from a barge onto rescue ships Saturday morning, despite opposition from Interior Minister Matteo Salvini. People across the West increasingly feel like they are “strangers” in their home countries, with Italy leading the pack. 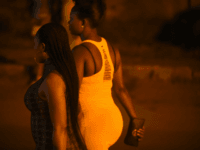 Nigerian migrant gangs are collaborating with the Sicilian Mafia in the organisation of prostitution rackets and the heroin trade, according to Italian police sources. 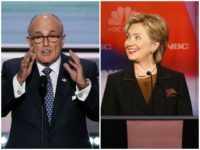 After coming to an easy agreement on a statement denouncing terrorism, the G7 leaders were unable to persuade U.S. President Donald Trump into ratifying the 2015 Paris climate agreement that would significantly reduce U.S. energy independence. 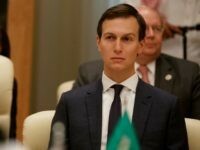 On Friday’s Breitbart News Daily, Peter Schweizer discussed President Trump’s attendance of the G7 summit, and the FBI naming the president’s son-in-law Jared Kushner as a “person of interest” in the Russia investigation. 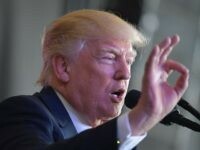 President Donald Trump is apparently receiving high marks for his foreign diplomacy. 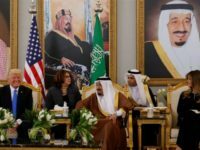 Rasmussen shows an upswing in the president’s approval ratings as he travels to various hot spots around the globe to advance his foreign policy goals. 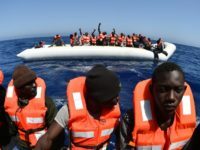 Several members of the hipster-right, anti-mass migration Identitarian youth movement blocked one of the ships of a pro-migrant NGO which was setting sail for Libya to pick up migrants and ferry them to Europe. MILAN (AP) — A Sicilian archbishop is taking on the Mafia in its heartland. 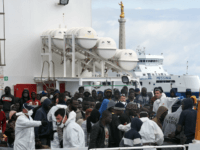 Report: Who Is Profiting from the Multi-$Billion Business of European Immigration? 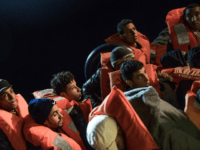 A new report suggests that huge economic interests lurk behind a number of NGOs and cooperatives dedicated to bringing as many immigrants as possible into Europe. 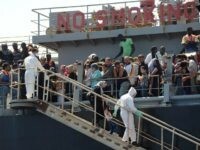 Illegal migrant sea crossings to Italy are up an astonishing 57 per cent on 2016 so far, with 1,300 landing in Sicily over the weekend. In a bizarre scene that could have been lifted from a Francis Ford Coppola film, the son of Sicilian Mafia boss Totò Riina returned to his native town of Corleone to stand as godfather in his niece’s baptism, an act now denounced by the local bishop. 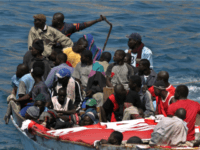 The mass landing on the coast of Sardinia of 158 illegal Algerian migrants has been described by police as well organised and indicative that a new, regular stream of North Africans may be heading for the small Italian island. 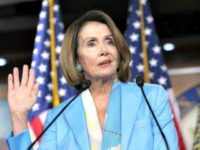 There has been a steady increase in the number of women in power positions among the different branches of the Italian Mafia, with some as brutal and calculating as the men they are replacing, according to recent reports. 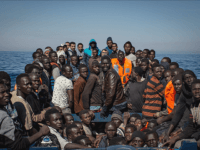 With a reprise of warm weather, record numbers of migrants have attempted crossing the Mediterranean from North Africa into Italy this week, with more than 7,000 migrants rescued and taken to southern Italy between Thursday and Friday. 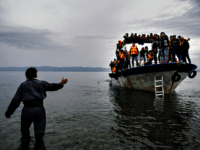 Nearly a thousand migrants rescued in the perilous Strait of Sicily have arrived into southern Italy Friday, among whom are hundreds of Syrians, Iraqis and Egyptians, which signals the adoption of a new migratory route from the Middle East into Europe. 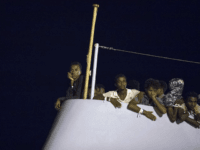 As thousands of migrants set sail from north Africa, Italian naval vessels have conducted ten different rescue operations of foundering vessels laden with migrants trying to cross the perilous Strait of Sicily to reach Italian soil in the space of just 24 hours. 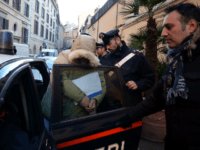 When asked on camera whether it is good to kill French people for Allah, Muslim migrants seeking asylum in Italy answered affirmatively, remarking that it is “good” to kill French people, and warning of a looming December 8 Islamist attack on Rome. 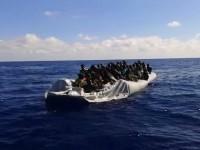 A patrol boat allegedly opened fire on a raft carrying about 130 migrants off the coast of Libya on Monday, killing one and leaving another injured. 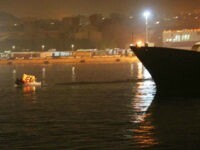 According to witnesses from the raft, members of the Libyan military patrol were attempting to rob the passengers, but when they resisted, the militia answered with several rounds of gunfire.